Do you love playing an animal in the barn? 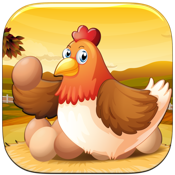 Play this game and use you skill in collecting eggs on the farm. 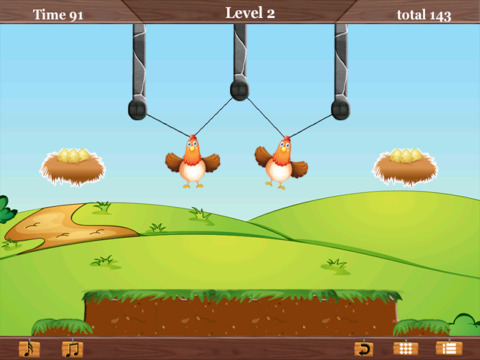 The logic of the game is to pull the chicken up by drawing a line from the base above to the hen. This will serve as a link to hold them to avoid a fall down to the ground. Ropes can be cut to swing the character across the maze for survival from the dangerous spikes below. There’s no easy way to take a short cut for you to score high on the game. Once the hen swings on the rope, you have to save the eggs by swaying the chicken pet onto the nest. Free the chickens now. Let this game connect to your innermost curiosity to be free from boredom. Download NOW!! !